This is a collage of several of the shop-built tools and jigs that I hav constructed over the past couple of years. Note the plywood boxes in the NOVA lathe stand. They contain about 200 lbs of sand to help to stablize the lathe. Finally got around to photographing and uploading some photographs of my recent green-wood turnings. 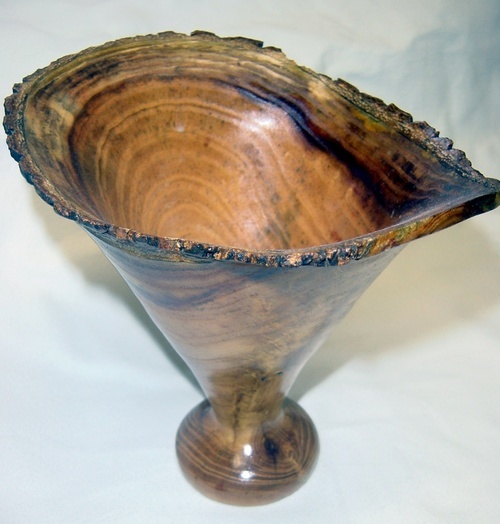 See woodturning Photo Album at right to view them. Below are the notes that I took during my first two classes with Edric Florence (an excellent local turner) in the fall of 2004. They look simplistic now, but they still do me good to read from time to time. 19. 6-parts water to 1 part dish soap soaking mixture to stabilize green wood. 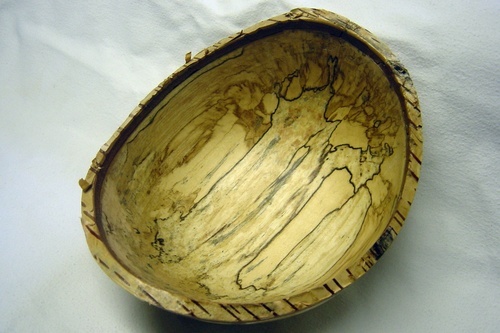 Above is picture of one of my first natural edge bowls (spalted birch). Hello (and a little background)! This blog will be an experiment for me….I’m going to try and use it to help me absorb the lessons that I learn in the woodshop. I’m teaching myself, with occasional help from professionals, to work wood. 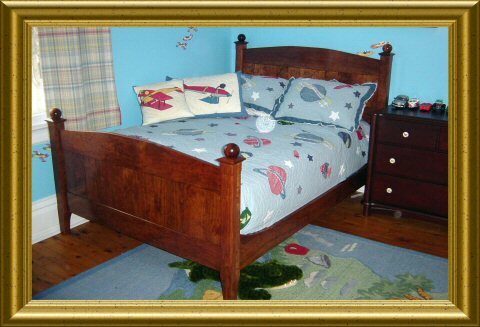 I’m learning to be a cabinetmaker (see cherry bed above), and have recently become hooked on the lathe. Until recently, I’ve been taking turning lessons from an excellent local turner named Edric Florence. I’m taking a break from the lessons for a few months to give me some time to practice what I’ve learned so far. I manage a technology consulting group during the day, and am a father and repressed woodworker by night. I finally have equipped my workshop to the point where I can no longer use it as an excuse, so here I go! Comments Off on Hello (and a little background)!